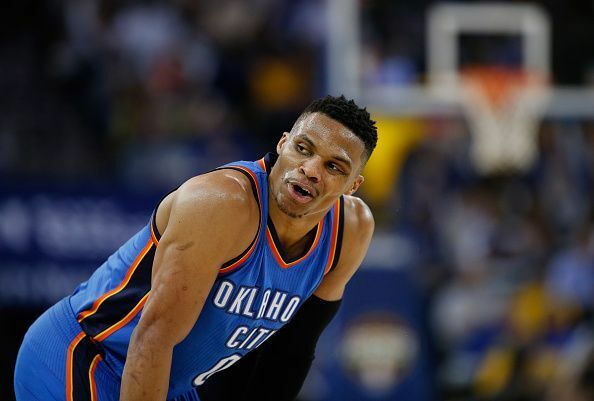 Russell Westbrook is one of the most loyal players in the history of the NBA. He has been a regular at Oklahoma City Thunder for nine seasons and is the first player after Oscar Robertson(1961-62) to average a triple double over the course of an entire season. He achieved this feat in the 2016-17 season. He signed a new bumper deal with the Thunders till the 2023-24 season. Not only has he made a fortune from just NBA contracts, he has also made further endorsements that take his net worth even higher. As of 2019, Russell Westbrook stands at #63 on the celebrity Top 100 list with the highest net worth. His loyalty to the Oklahoma City Thunder has undoubtedly paid him, and his net worth stands currently stands at roughly $160 million in 2019. His deals with Nike/Jordan and multiple other endorsements have skyrocketed his net worth. He also owns a couple of houses in Oklahoma, and reportedly spent a little less under $2 million on each one of them. If his assets such as his houses, cars and other expenses are subtracted, he stands at about a $100 million. After signing a new deal in 2017 worth $85.6 million, Westbrook’s salary earnings from basketball amount to a mouth-watering $102,723,800. He is the 5th highest paid in the NBA and earns even more through endorsements with some big names like Nike/Jordan and Subway which amount to another $12 million. ﻿His new contract will take his lifetime earnings to about $335 million. His current deal with Nike/Jordan was worth $15 million in last year alone. To add to his endorsement deals, Westbrook also owns a car dealership in his neighborhood of Los Angeles. Starting from 2018-19, Westbrook salary per year will be around $60 million. By the time his deal runs out, Westbrook will be one of the richest athletes in the whole of America by beating the likes of other stars like LeBron James and James Harden. His current deal with the Thunders is because of the NBA salary cap and has made it possible for the 29-year-old to earn a whopping $38.6 million, according to Forbes.